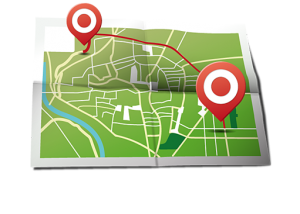 GPS systems give you security, peace of mind and the knowledge that you will never get lost. One of the reasons most travelers need GPS systems is that these handy devices are never confused and can guide you across the country at the touch of a button. A navigation system in particular is perfect for those needing turn-by-turn instructions to their location the entire way. The way it works is very simple, once you enter the “to and from” locations, the device simply will guide you where you want to go. Rental costs for a GPS unit depends on the length of time it is required. Typical rates start from just 4 Euros per day. Bluetooth speakers give you hands-free use of you mobile phone in order to make and receive calls within the vehicle without needing to hold the phone, leaving your hands-free to do the driving and allowing your holiday to be even more relaxing while taking in the Cypriot sites and scenes of the island of love. Rental costs for a Bluetooth speakers is only 2 Euros per day any time of the year. If you require any of the above please let us know in advance to guarantee availability.